Do you have the correct smoke alarm? Did you know that each state in Australia has a set of regulations surrounding smoke alarms, each of which stipulate that smoke alarms are compulsory and must be installed and maintained. 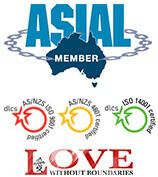 The regulations also require all models comply with Australian Standards. According to the Australasian Fire & Emergency Service Authorities Council (AFAC), ‘An automatic fire alarm system is designed to detect the unwanted presence of fire by monitoring environmental changes associated with combustion’. ‘A detector is a device that detects smoke, typically as an indicator of fire’. There are two main types of smoke alarms – Ionisation and Photoelectric smoke detectors. Ionisation smoke detectors are better at detecting flames, whereas Photoelectric Smoke Alarms are generally more effective at detecting smoke. Both types of detection can either be hard-wired into a building’s electrical system, or battery operated. All smoke alarms connected to power must also have a battery back up. Hard-wired alarms also require a professional electrical tradesperson install the alarm, which can again provide assurance that your system is fitted correctly. For expert advice, installation and maintenance queries, contact National Protective Services (link to contact number/form) today, and be assured you have appropriate smoke alarms fitted and positioned correctly for maximum safety that will protect you, your home and business premises should a fire breakout.